Have Pain From Running? Physical Therapy Can Help! 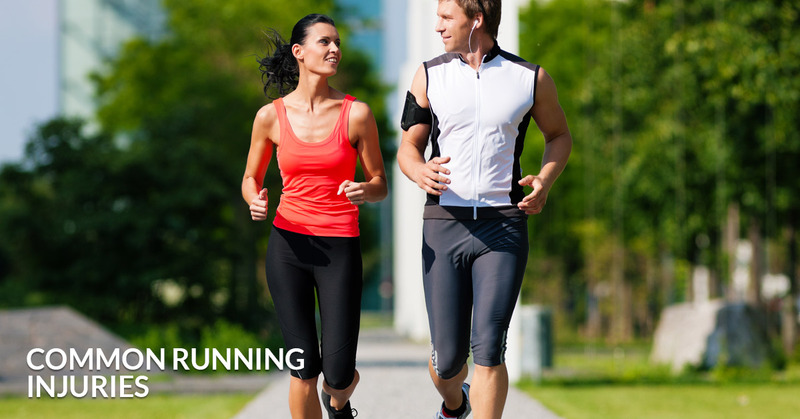 Running is one of the best ways to get in shape, and many find it very relaxing. It’s an activity that people of just about all fitness abilities can get into. Look on social media and you’ll find a whole host of running groups, whether it’s at a rec center, a shoe store, or even a brewery. Once you get into it, you’ll definitely notice changes in your body, and most of them will be positive. However, some people find that introducing new sports activities can mean introducing new aches, pains, and injuries. Here are some things to watch out for when you’ve been bitten by the running bug. One of the most common pains runners experience is heel pain. This can be caused by wearing the wrong type of running shoe, and if that’s the case, go to a shoe store that specializes in running and have the staff help you select a shoe that’s perfect for you. But if that doesn’t help the pain, it’s possible you have plantar fasciitis. This is a common foot condition caused when the ligament that supports the arch becomes inflamed, and it can be treated with a course of physical therapy. The physical therapists at the Woodbury DMR Clinic are trained to help with this type of injury—call us today to make a sports physical therapy appointment! One of the indicators of overuse from running is pain in the Achilles tendon, which is the tendon above your heel, and behind your ankle. New runners, and experienced runners who are upping their game, commonly experience this type of injury. Be sure to give your heel plenty of rest, ice, and time to stretch. Don’t overdo it or get back into running before your Achilles tendon is healed. When the nerves between the toes become pinched, the ball of the foot can experience quite a bit of pain. Sometimes runners will experience numbness and burning in addition to the pain, which makes this situation all the more uncomfortable. If you haven’t already been fitted for good-fitting running shoes, do so right away. Also be sure that your shoes are laced properly—too-tight laces can cause issues, too. After all other avenues of relief have been explored and no relief is in sight, call us for an orthopedic physical therapy consultation. The DMR Clinic in Woodbury takes a holistic approach to physical therapy, offering massage and chiropractic care, too. We work hard to rehabilitate sports-related injuries, return lost mobility, and get you back to the activities and sports you love. Call us today for an appointment!